The Master Sergeant flag display case from Flag Connections – the retirement gift every accomplished former career airman needs! 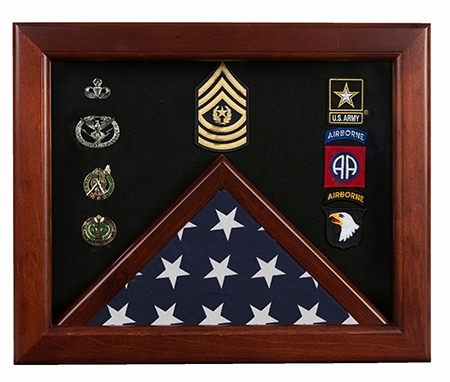 This elegant retirement flag shadow box makes a perfect triumphant display of a master sergeant's decorated career. Also ask about first sergeant ranking shadow boxes with diamond included. This handsome retirement flag frame and shadow box, carved in the shape of master sergeant insignia, is made in the USA with top styling American craftsmanship, built with durable and elegant blemish-free red oak, allowing your loved one to show off their detailed and storied career for the world to see – brightening up and complementing any den or office wall or desktop! The top crest of the Master Sergeant flag display case holds a display case for a triangularly folded flag and holder for a 3' X 5' American flag or official embroidered or nylon flag for any of the five branches of the U.S. Armed Forces. A luxurious crushed velvet background line the interior of the flag frame and shadow box, which is available in red, blue, black or green. Flag Connections is always happy to help you with the perfect color contrast to complement your medals, insignia and memorabilia. Display area dimensions are 18 ½" X 17 ½", allowing optimal room at the center of the medal shadow box to display a photo of the master sergeant in your life. Medals awarded can be displayed proudly with their original ribbons to the right of the display picture, along with wings and badges, making the lower compartment a most elegant medal display case. The entire master sergeant frame and display case comes with wall mountable hardware and brackets for easy at home installation. 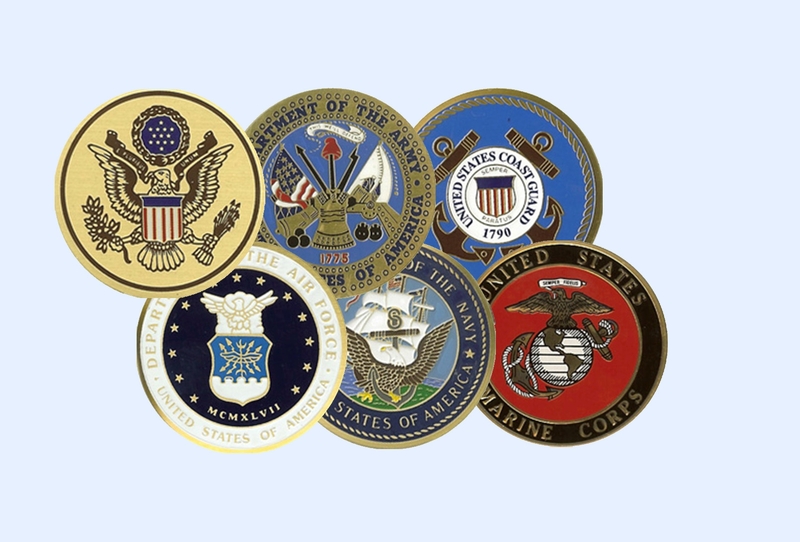 In addition, Flag Connections offers handsome brass replicas of military service medallions upon request. Alongside its reputation for elegant and durable American-made craftsmanship, Flag Connections prides itself on fast shipping and expedient customer service with same day shipping for all U.S. and Canadian orders. Show the staff sergeant in your life that you care! Proudly display their airman career with a Flag Connections Commemorative Master Sergeant Shadow Box display case! The decorative way to display an illustrious and decorated military career. What's the best way to boast the admirable high-ranking military career you're so proud of? The best way to pass it onto your children and your children's children? How do you keep your father or grandfather's military stories alive for generations to come? 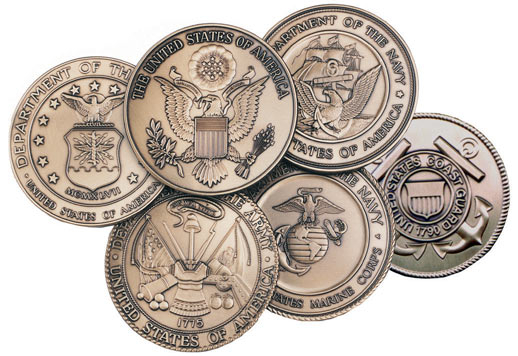 Honor them and their memory with the specially crafted U.S. The Master Sergeant Flag Display Cases Can be used either as TSgt or SSgt. This case is available in Red Oak, and comes with a red, black, blue or green backround. Display area dimensions are 18 1/2"x 17 1/2"
Orders for the master sergeant flag display cases are usually shipped out within one business day to places within the USA and Canada.